The following content is part of our Fly of the Month Club. This article is written by Peter Stitcher from Ascent Fly Fishing. Of the many questions asked by anglers, the most important question is rarely voiced. We routinely ask “What are they biting on?” – “Have you fished that pool?” or “How was your time on the river?” I would propose that instead of asking what, when, where or how, focus on the why. The why is the most essential question we will ask as anglers. Why do you fish? When asked this question, most of us would say that time on the water is about family, it’s about adventure, it’s about community, and it’s about a hope that the next cast will bring the rise of a trout and the burst of adrenalin that will sustain us through all of the conference calls and board meetings until we can return to the river. It has been the pleasure to myself and the team at Ascent Fly Fishing to write articles and provide flies for Wambolt & Associate’s Fly of the Month members for more than 5 years. Our purpose and driving passion has always been to open up the sport of fly fishing and the joys that are waiting for everyone on the water. It is our hope that the content we write and the flies we provide have equipped you for success, and made times on the water more fulfilling, memorable, and fruitful! Our desire to share success and opportunity wraps around the globe, and I would like to raise the curtain a bit and tell you about the whys that drive the team at Ascent Fly Fishing both as a business and as individual sojourners on this planet. 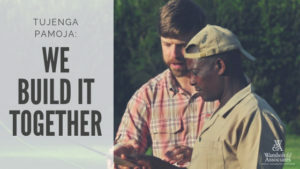 In 2014, as the demand for our flies and biologist-crafted fly selections eclipsed my abilities to tie, we opened our first factory in Kenya (located about 2 hours south of the Orvis factory). As our business grew, what started as 6 tyers quickly grew to 8, and then 15, and today we employ 38 full-time tyers who make their sole income working for Ascent Fly Fishing. Using the same top-quality hair and hackles as sourced from the US, our employers have been tying flies on average between 10-30 years and I would argue are among the best trained in the world. All of our fly tyers have been through my entomology and matching the hatch training, and have preserved samples of the insects from our waters in front of them when they tie. We spent the month of November personally training our tyers on the latest fly tying techniques, and even taught them each how to cast a fly rod so they too could taste the joy and excitement of fly fishing. In a country with roughly 70% unemployment and generational cycles of poverty, success for Ascent Fly Fishing cannot be defined without sharing our growth with our fly tyers. Unique in the fly fishing industry that only pays tyers per piece, we pay a competitive wage and give our tyers 3% of the purchase price of the flies they tie. Shared with no strings attached, these funds are sending kids to college, feeding families, and providing better housing. At the beginning of 2019 we were able to set up interest free microloans covering healthcare, allowing our tyers and their families to draw from these funds to cover medical emergencies and pay them off over time as they tie flies. In a country void of opportunity, our small fly shop and factory is supporting more than just 38 fly tyers, but a growing community of more than 274 dependents. Why I fish and run Ascent Fly Fishing is about so much more than catching fish. 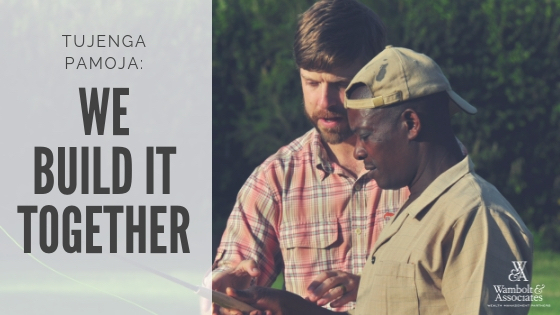 It is about family, about sharing opportunity, and about community so that the fly fishing communities both here and in Kenya can look into the future with hope and anticipation of good days to come. Interested in joining our Fly of the Month Club? Click here for more information.